I believe that a successful painting is not just a picture, but something that captures the air and atmosphere around the subject as well. Working in oil, watercolour and pastel, I am motivated by my affection for the figure work of the Cornish Newlyn School of artists, which at the turn of the twentieth century included Stanhope Forbes and Dame Laura Knight because it provided 'a breath of fresh air'. From 1965 - 1970 Raymond studied fine art and graphics at Great Yarmouth College of Art. Originally he made his living in graphic design, but demand for his original work grew so he eventually made the decision to take up painting full time. 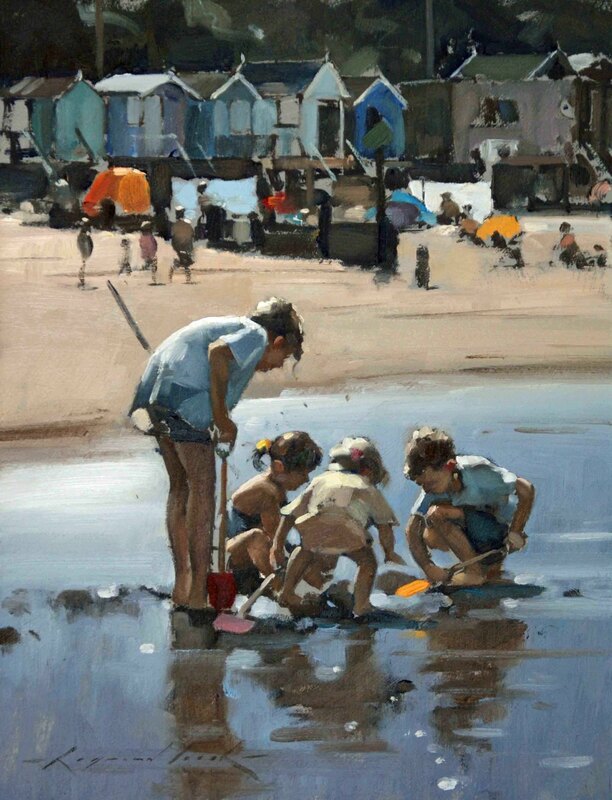 A member of the Royal Society of Marine Artists and the Guild of Norwich Painters he has won numerous awards for his work, together with being a finalist in a number of competitions, including the Singer and Friedlander Watercolour Competition and Not The Turner Prize, in which he was a prize winner. He has exhibited throughout the UK and the USA and his work is held in private collections in Dubai, Spain, New Zealand, France, South Africa, United Kingdom, America and Oman, with the Sultan of Oman being just one of his many patrons.